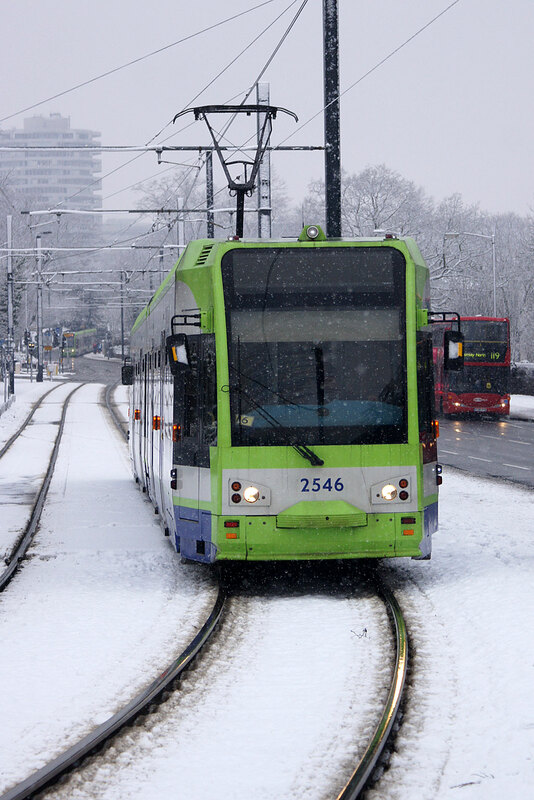 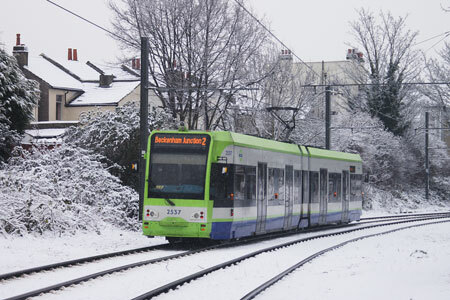 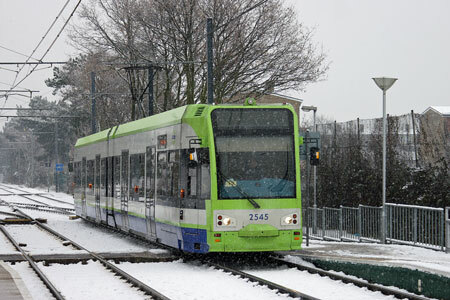 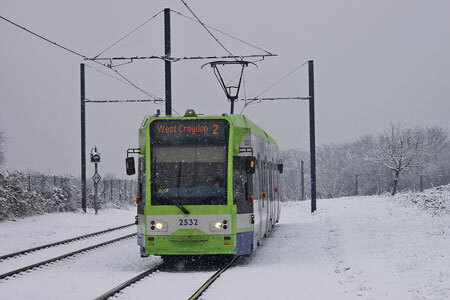 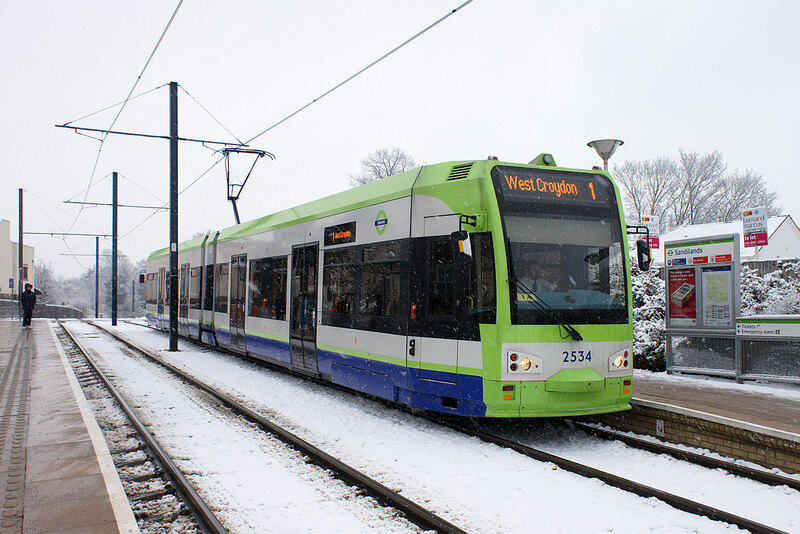 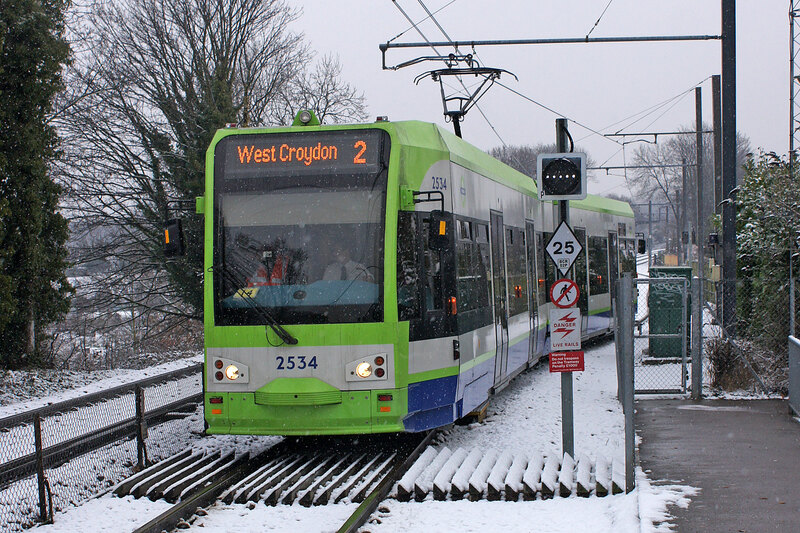 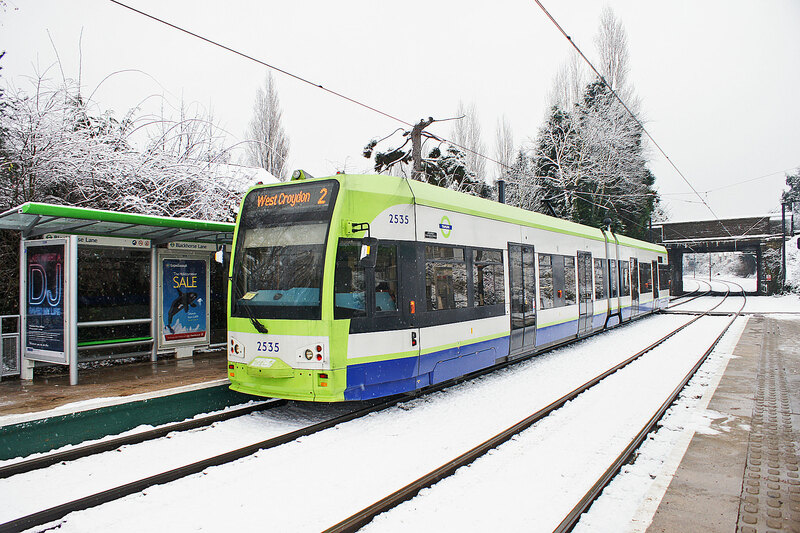 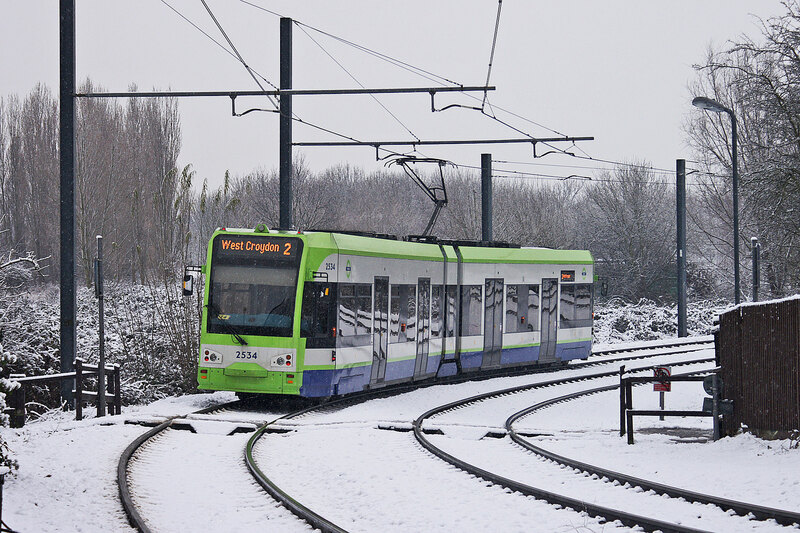 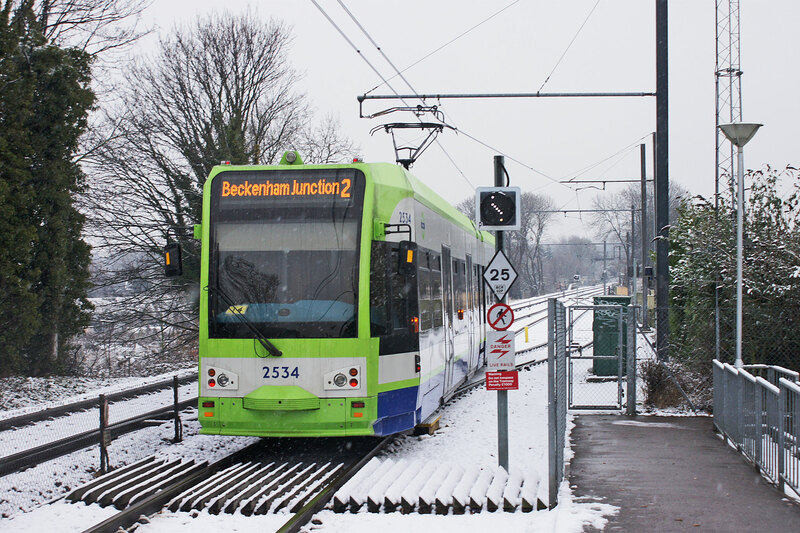 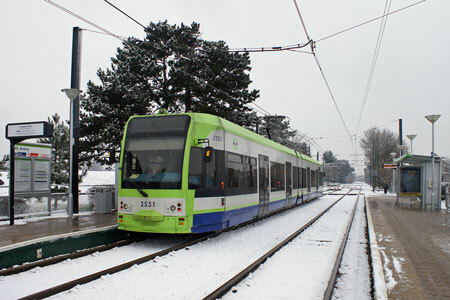 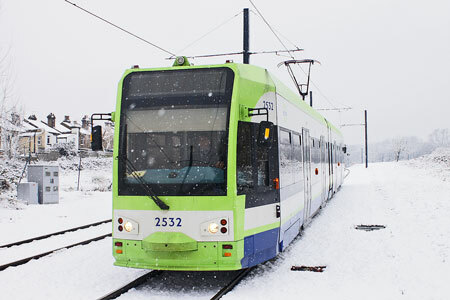 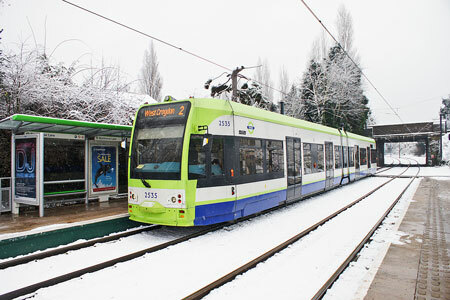 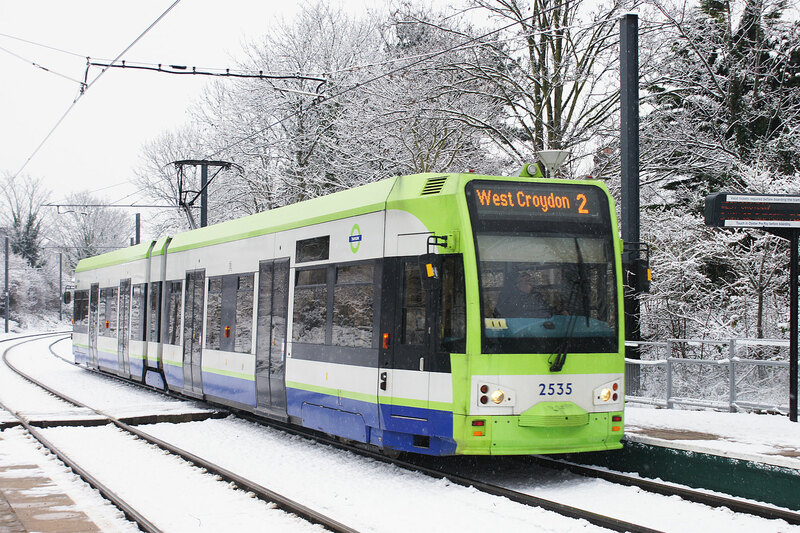 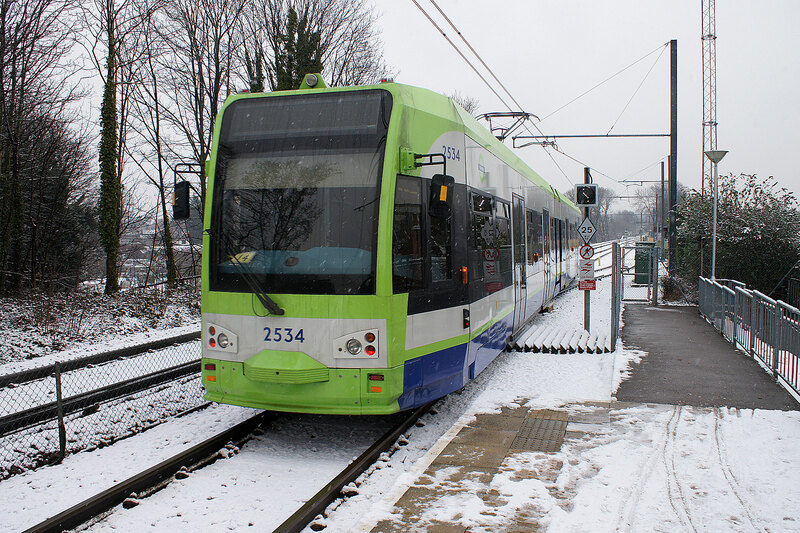 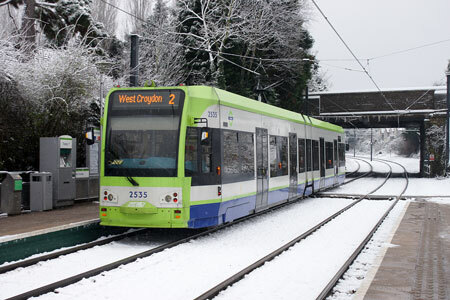 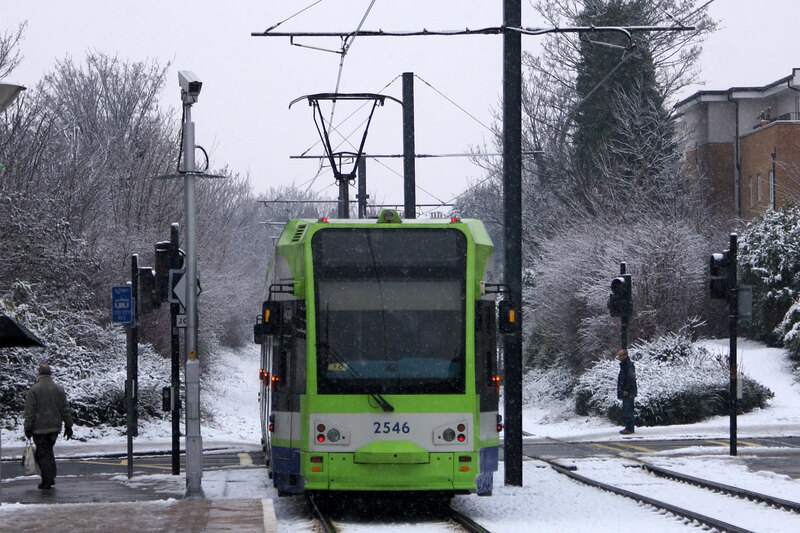 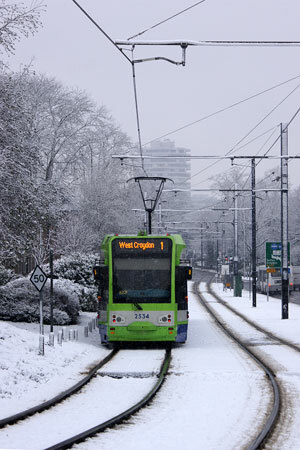 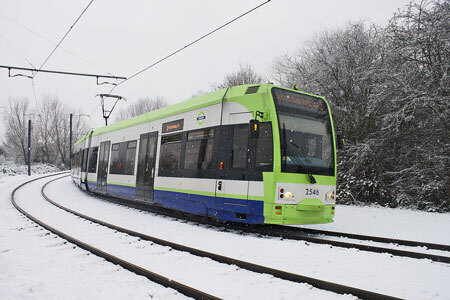 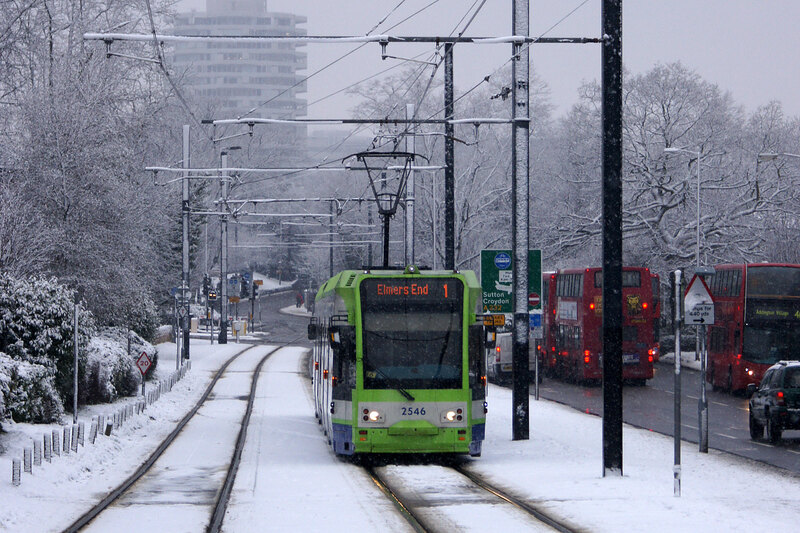 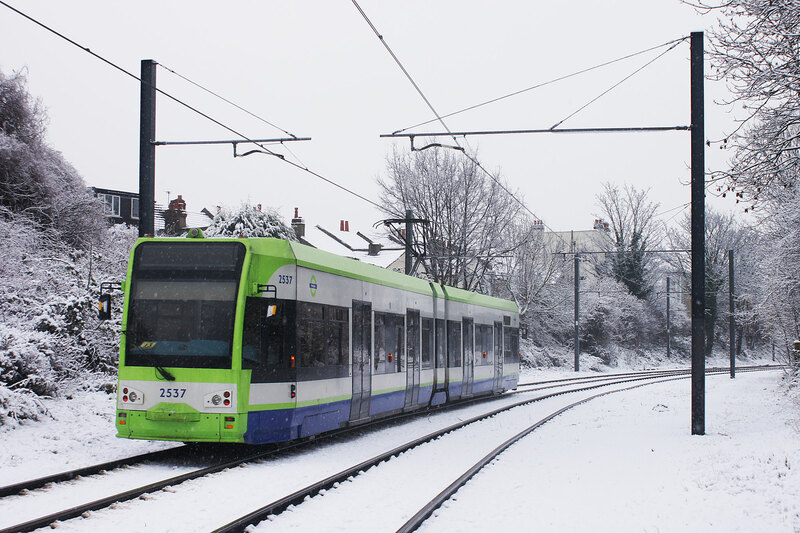 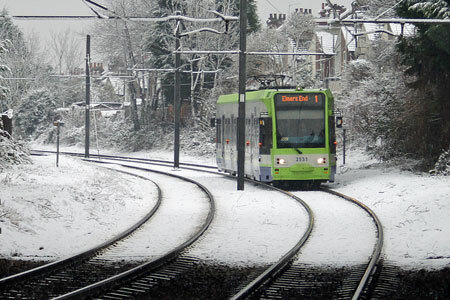 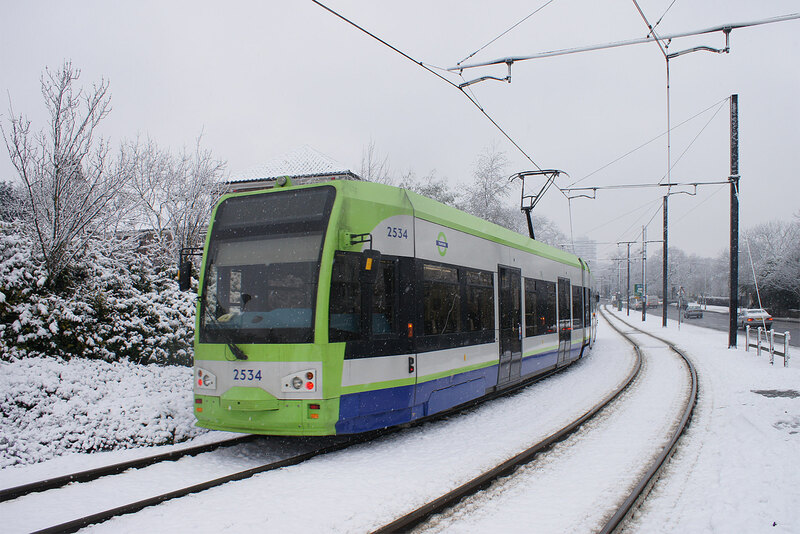 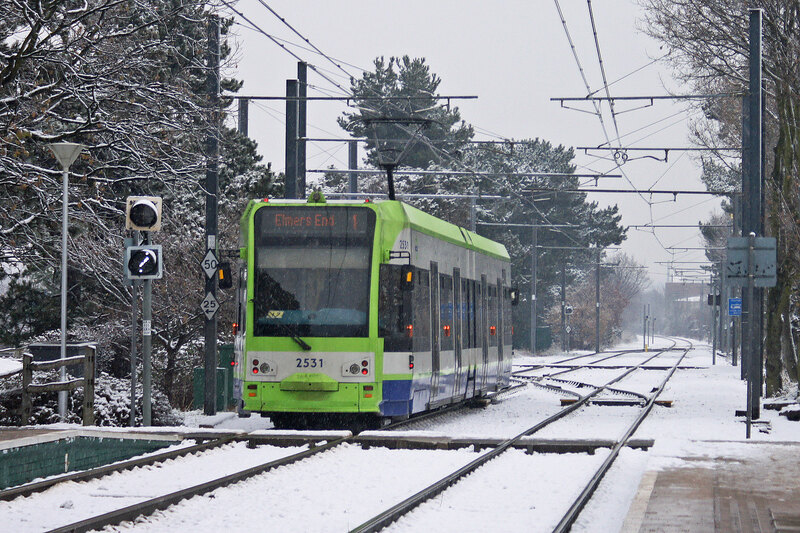 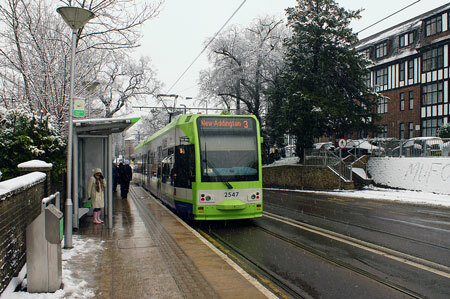 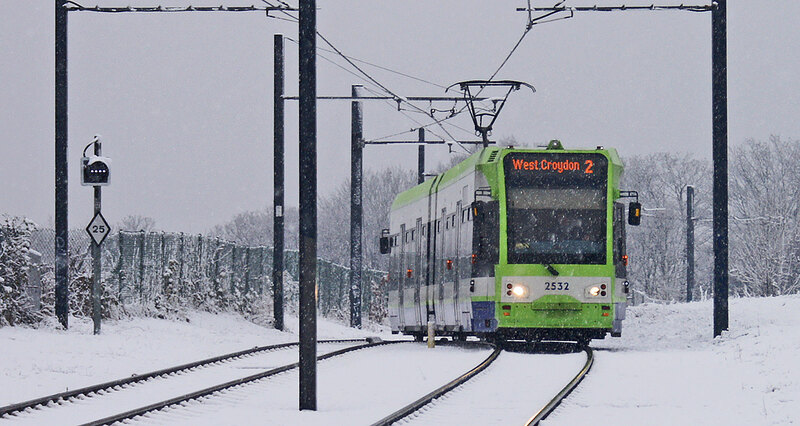 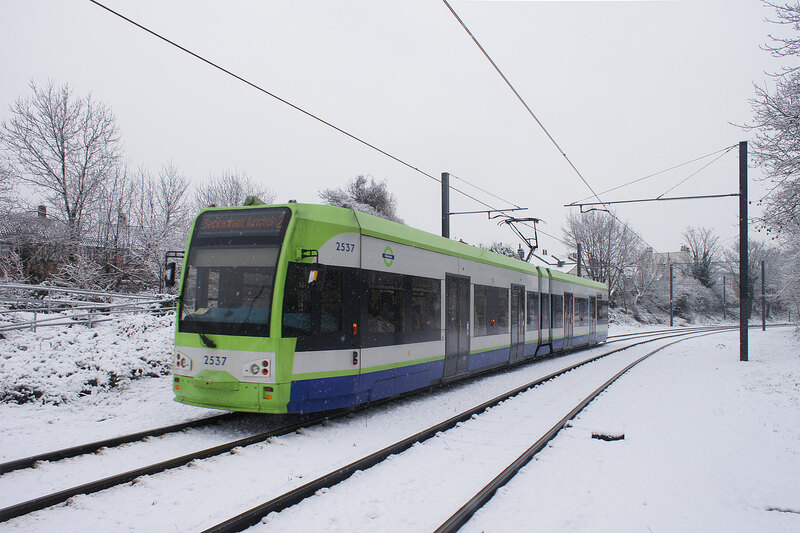 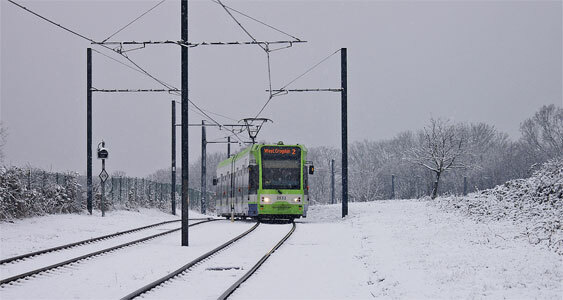 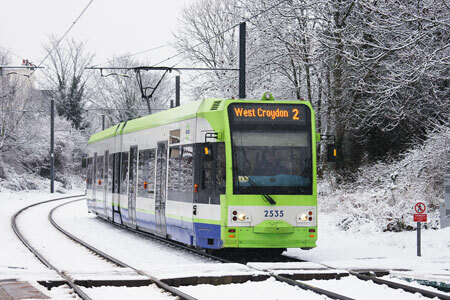 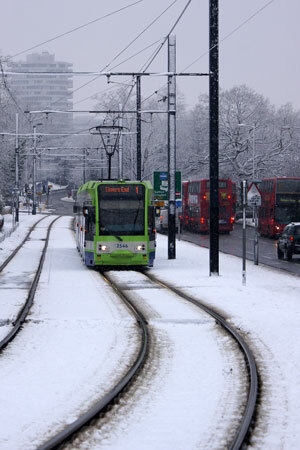 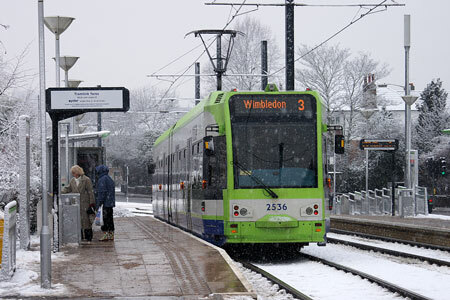 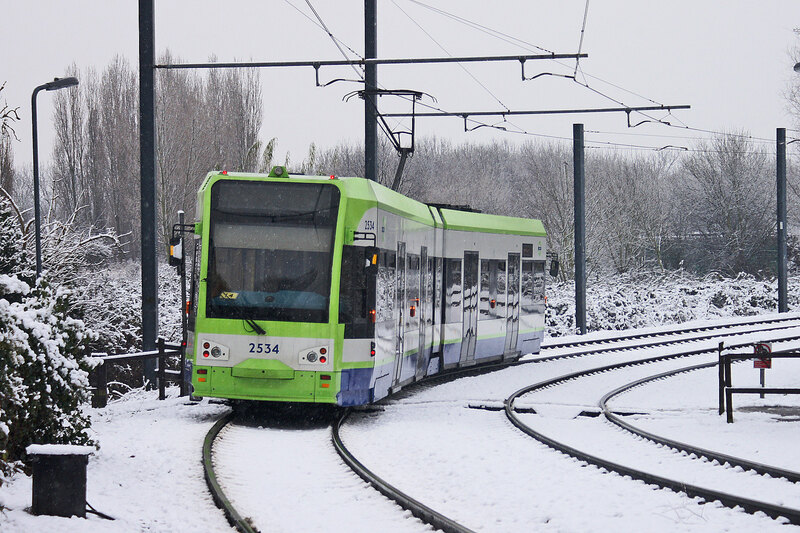 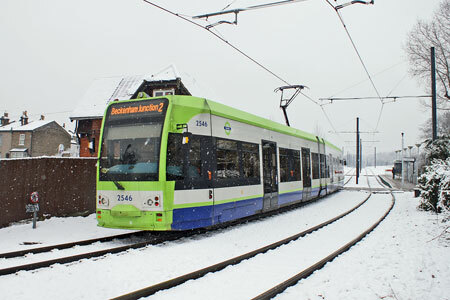 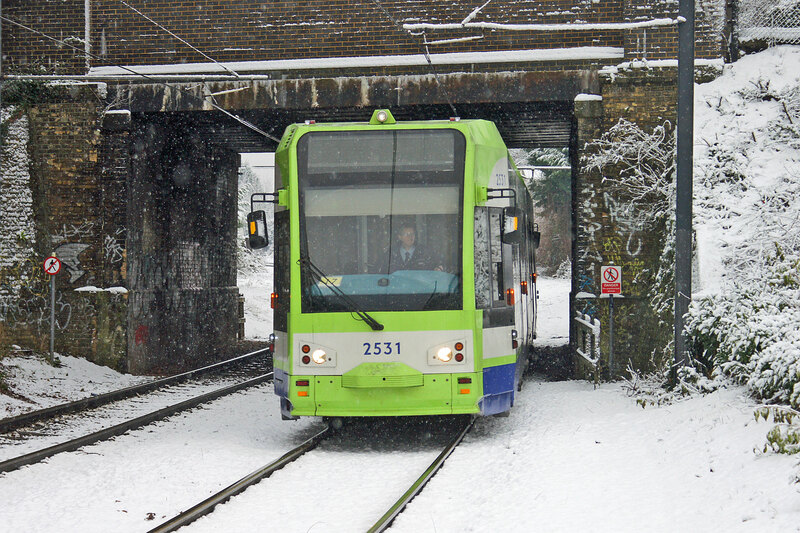 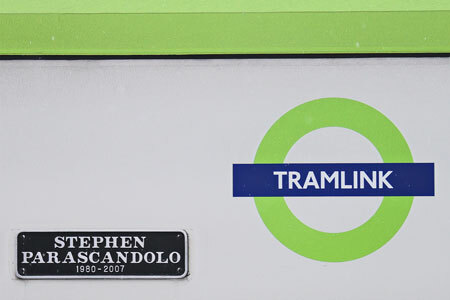 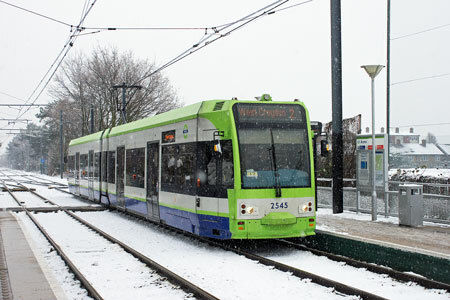 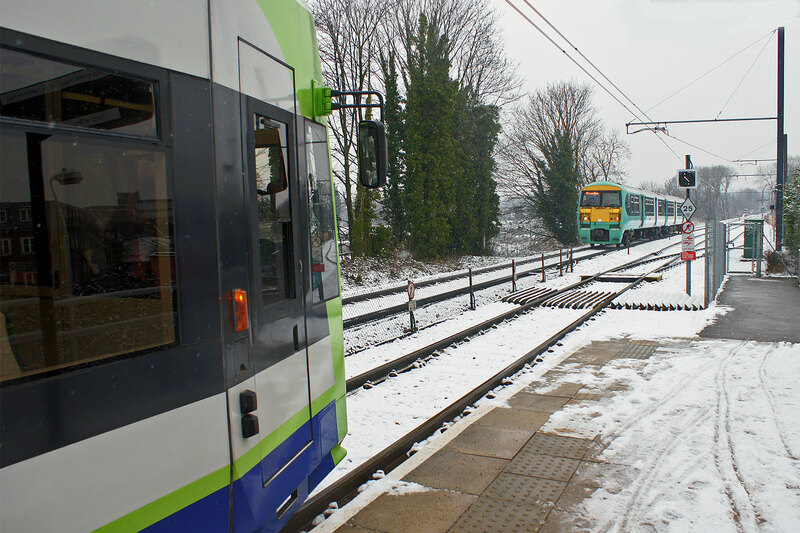 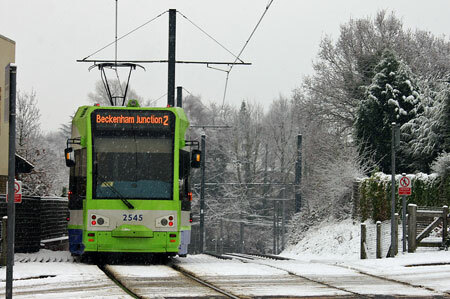 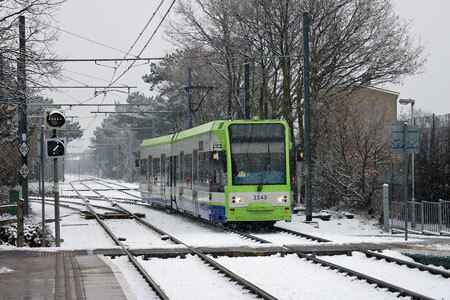 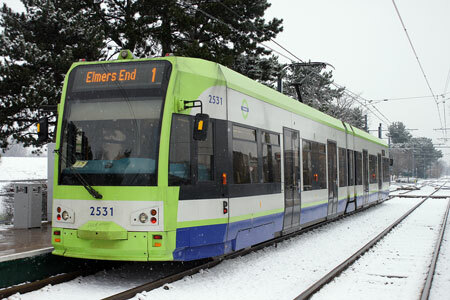 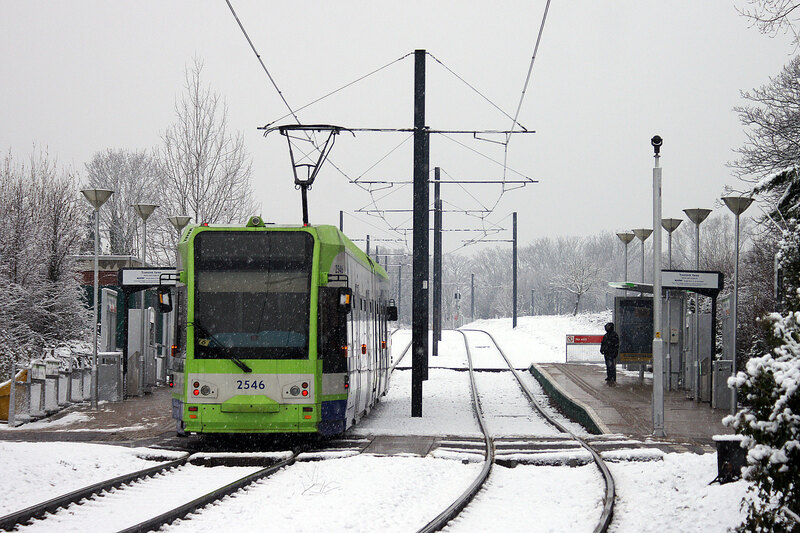 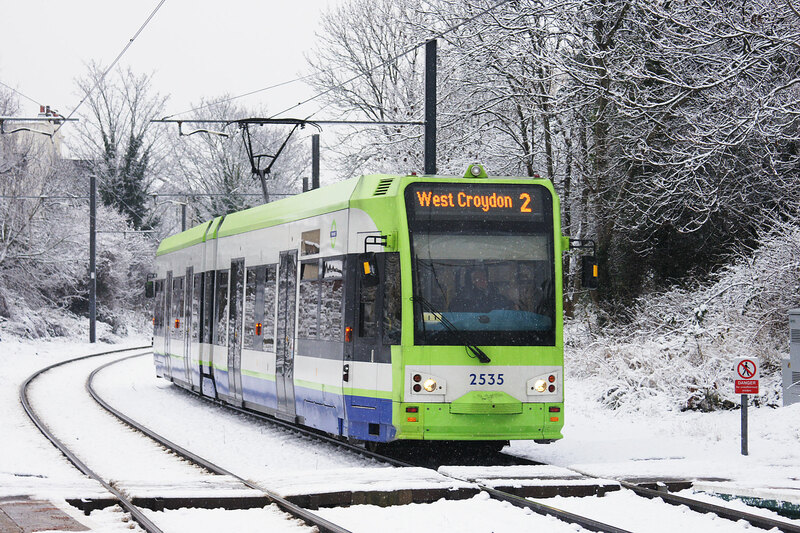 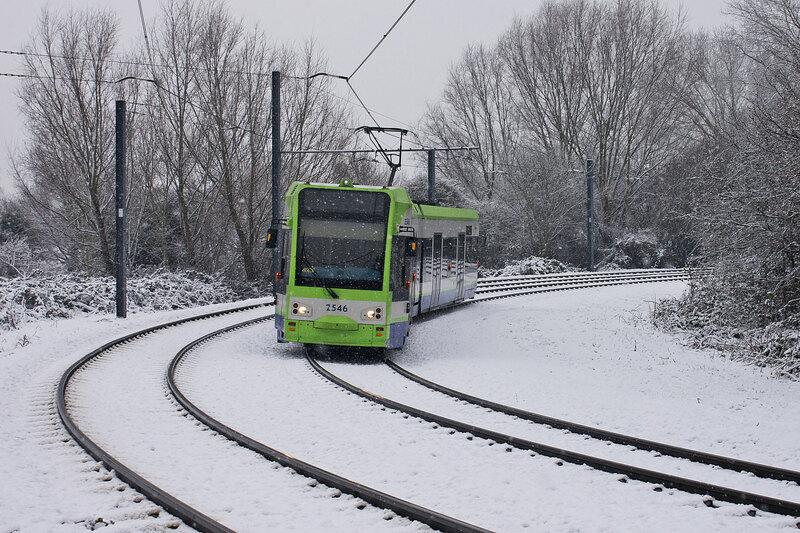 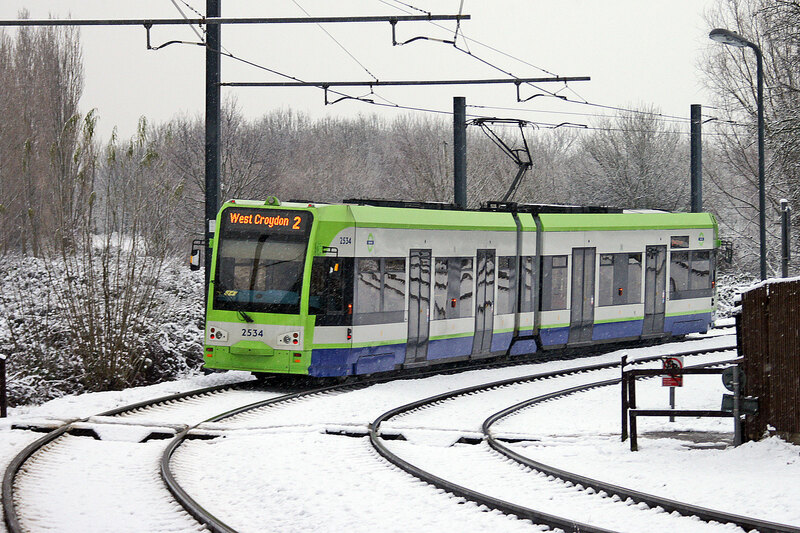 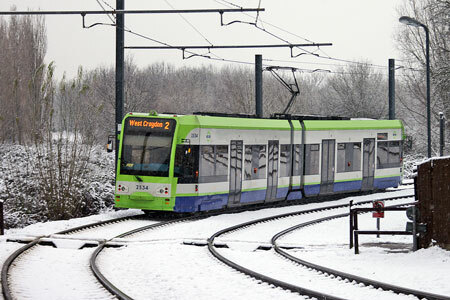 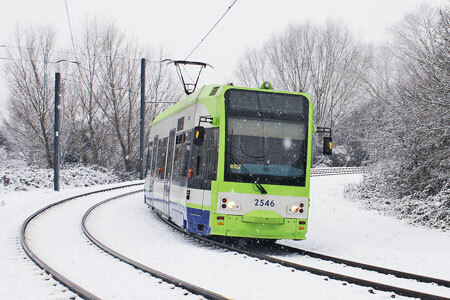 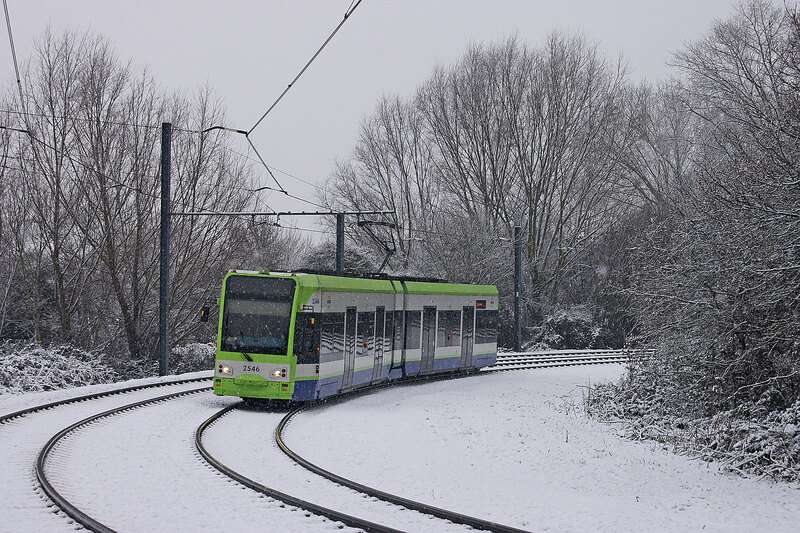 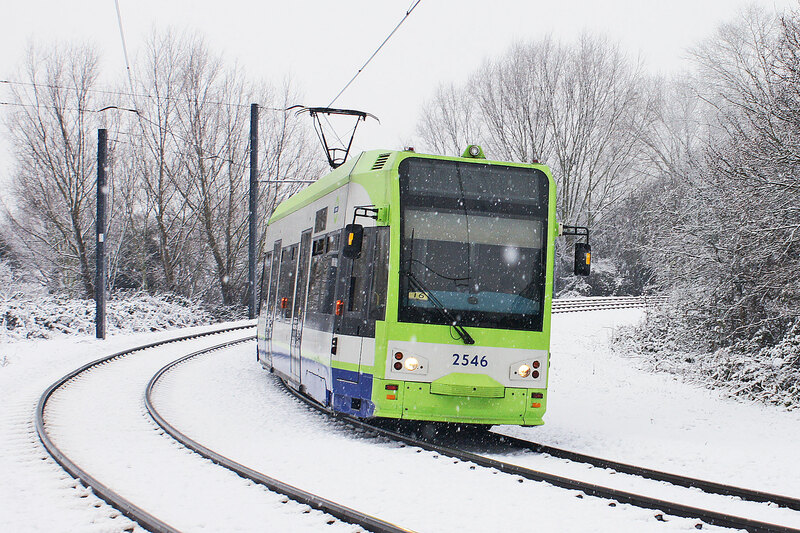 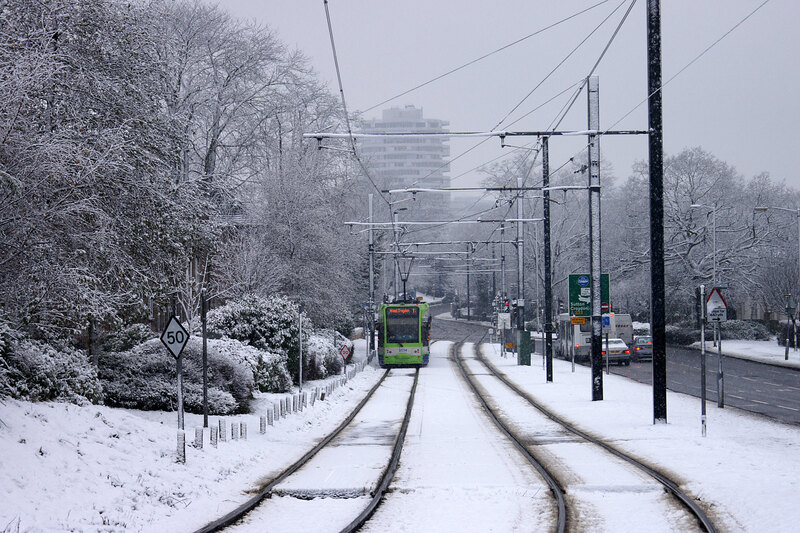 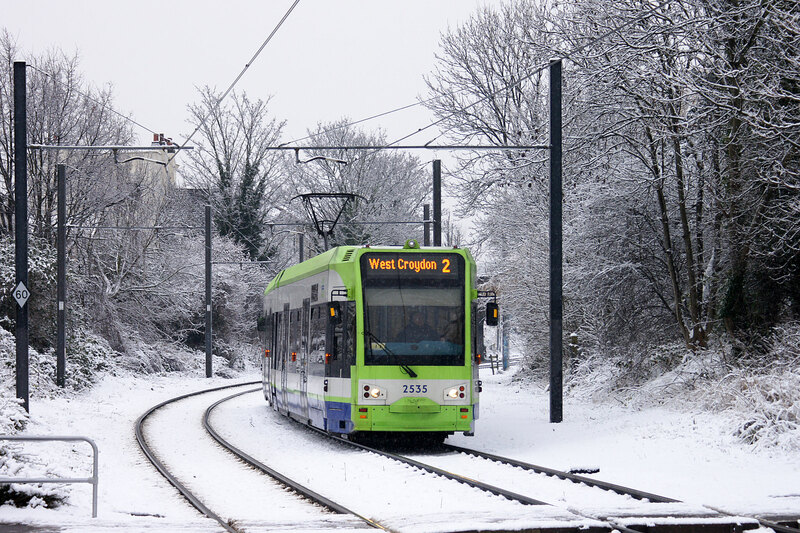 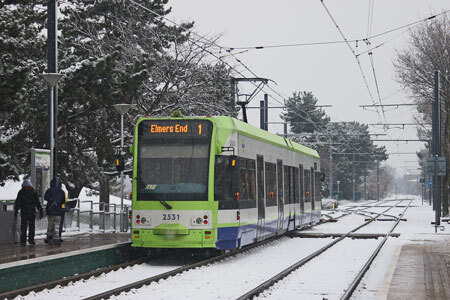 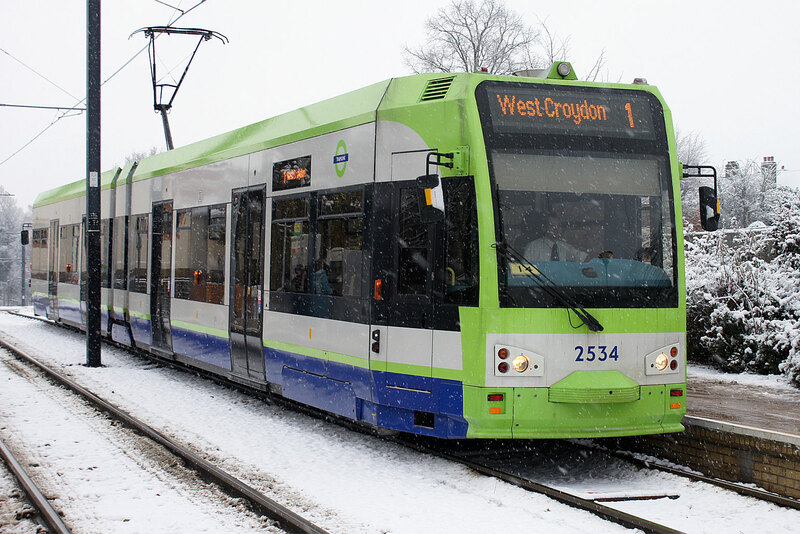 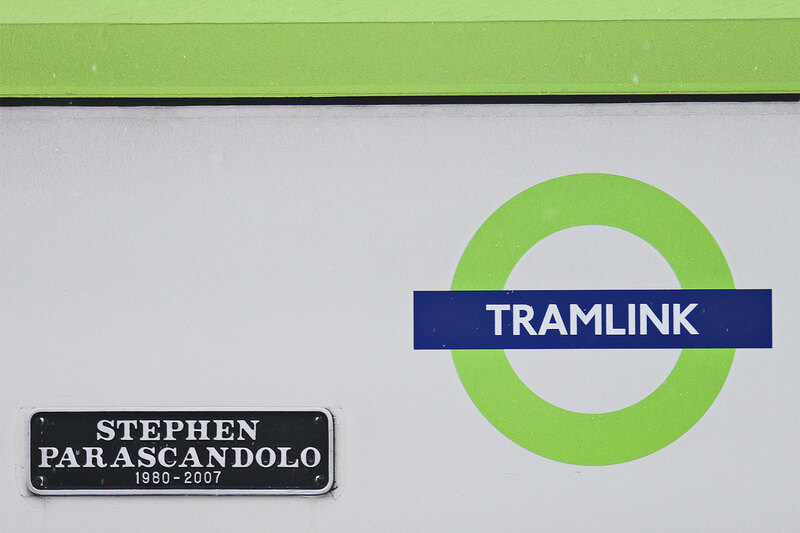 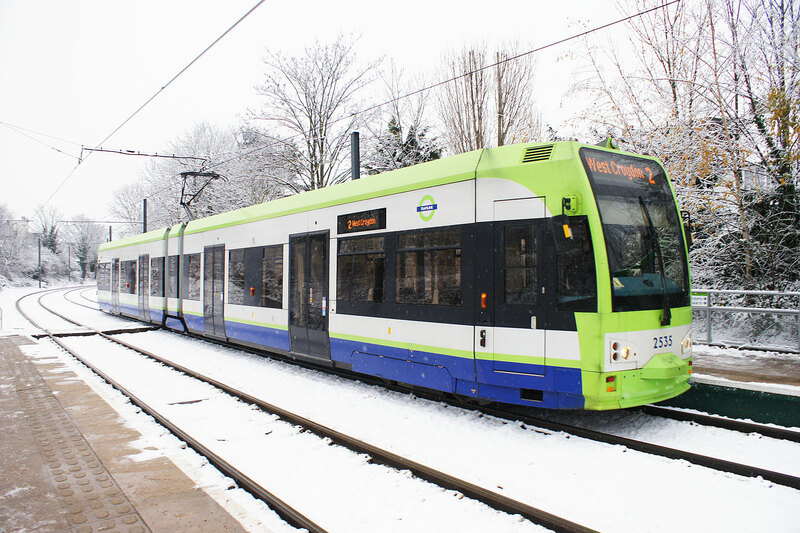 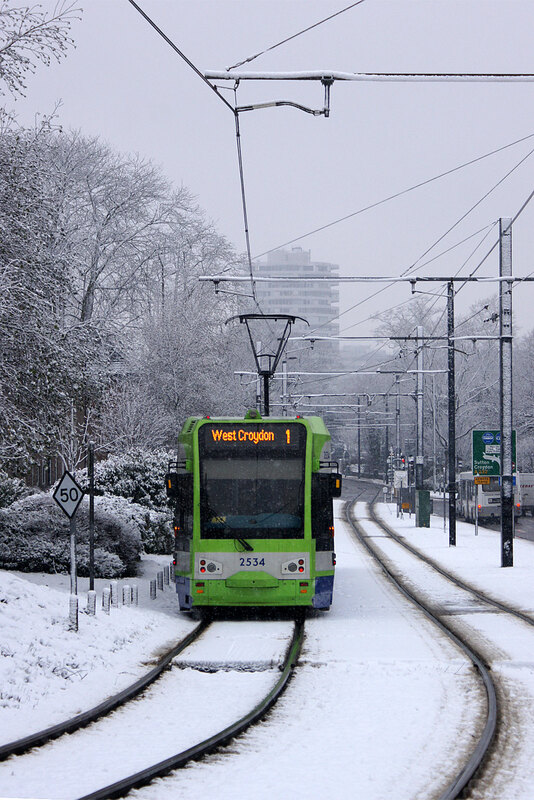 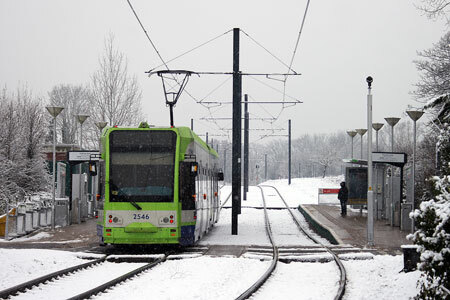 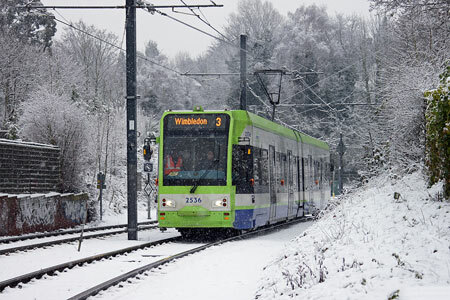 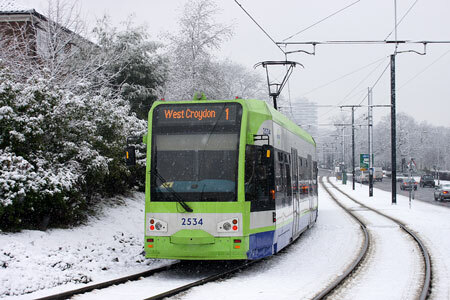 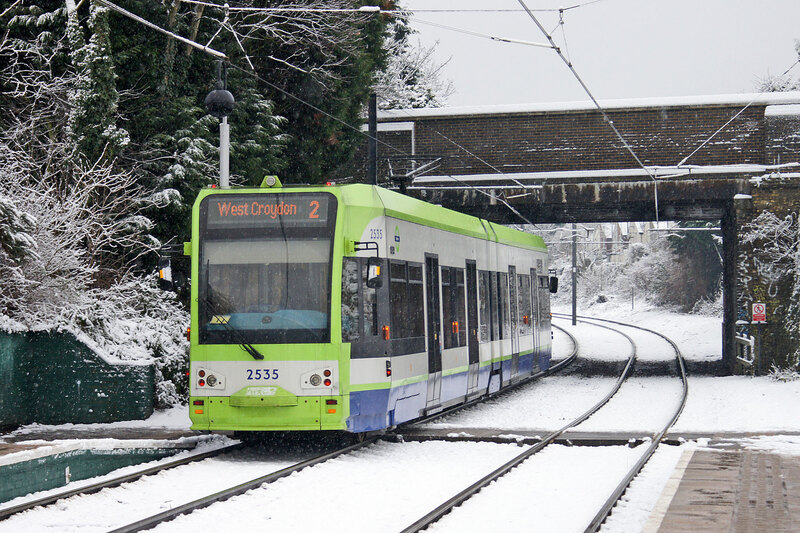 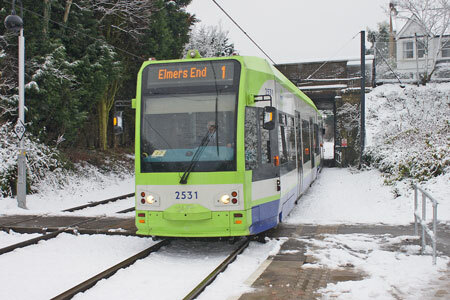 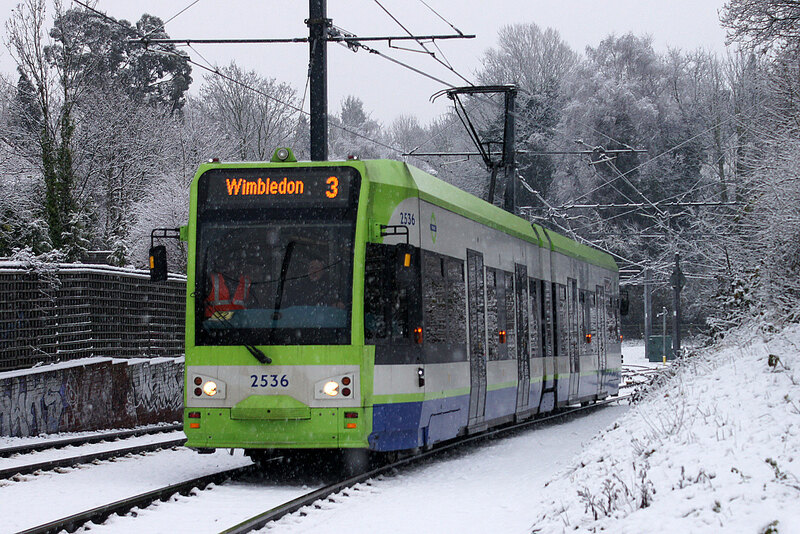 I have wanted to capture some images of trams working in the snow for many years. 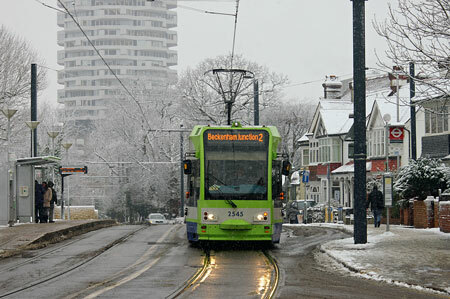 The bad weather of January 2010 presented an excellent opportunity and I spent a few hours on the East Croydon to Beckenham Junction branch on Wednesday 6th January. 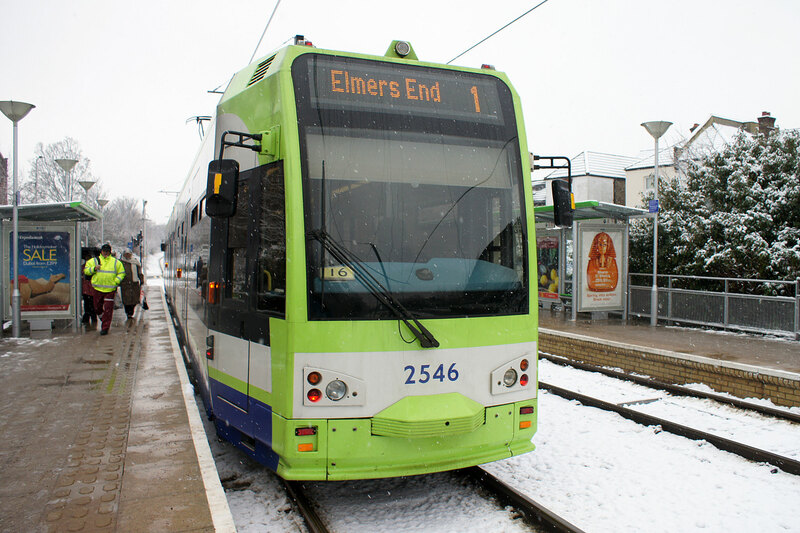 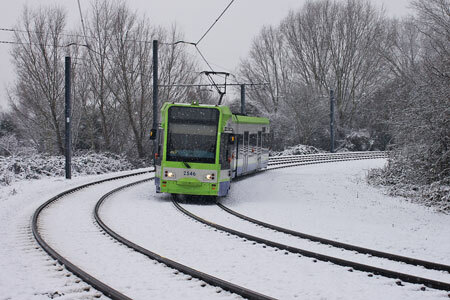 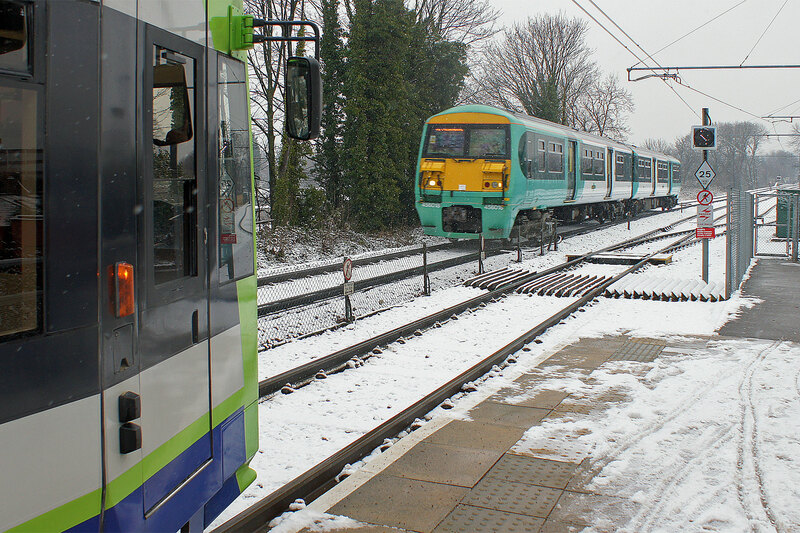 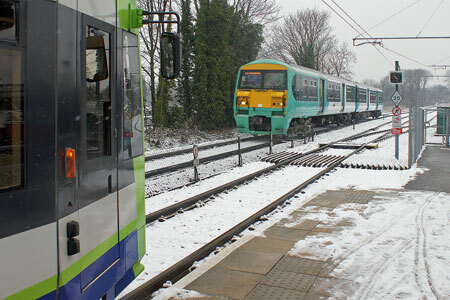 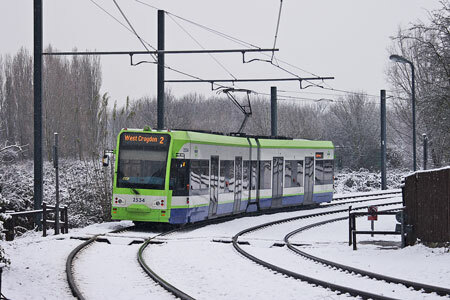 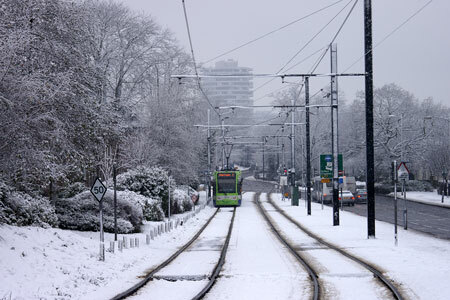 Despite huge amounts of chaos on the roads and railways throughout the south east of England, the trams were running normally and were very well used.